The Smart is your art museum. 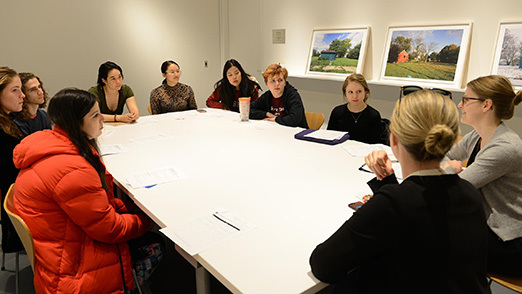 Reflecting the intellectual, social, and artistic interests of the UChicago student community, the Smart Museum is a dynamic site of student-led discourse and action. 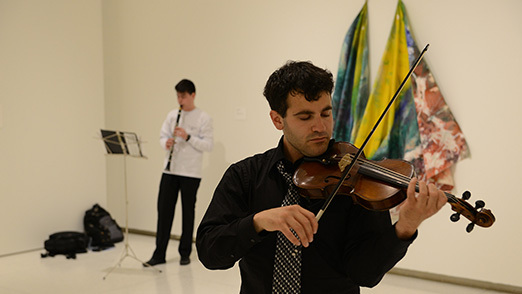 From a creative commission series and an annual art loan program to object-driven research opportunities through the Feitler Center for Academic Inquiry and paid arts internships, the Smart offers UChicago students a distinct social, creative, and professional platform unlike anything else on campus. Student programs at the Smart are supported in part by the UChicago Arts Pass and the Feitler Center for Academic Inquiry. Photo by Eliana Melmed for the College. Student-created and -curated works of performance art, spoken word poetry, experimental music, and dance. The voice of the student body at the Smart Museum. 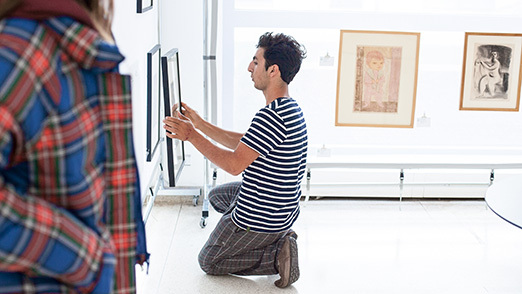 An art loan program, exclusively for University of Chicago students. Jobs, research, and career development opportunities.